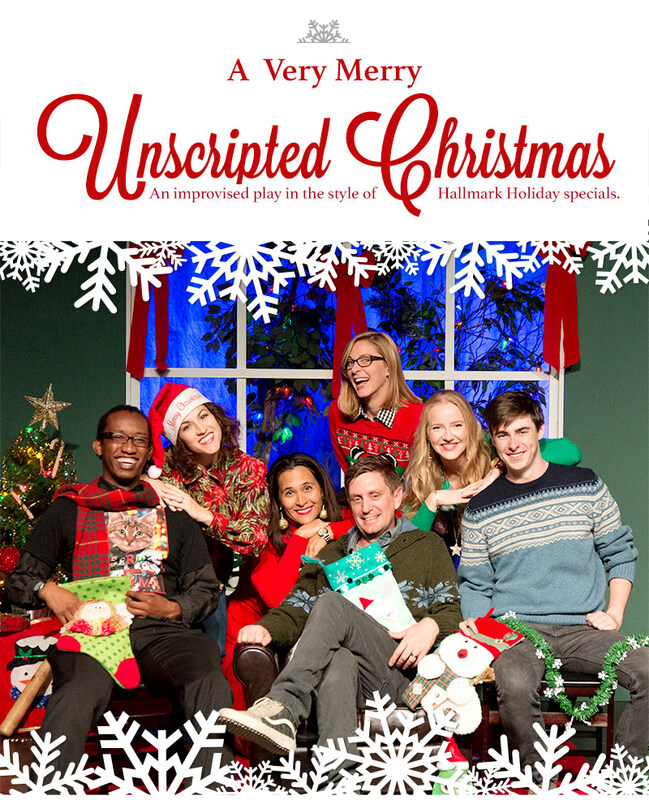 SIXTEEN original plays completely improvised on the spot in the style of the holiday season’s most beloved guilty pleasure: Hallmark Christmas Movies. During each performance, using audience suggestions, the Modjeska Improv Ensemble will create a new/original, family-friendly, improvised, full-length play based on the made-for-cable Christmas movies that air on the Hallmark Channel every holiday season. Each play will be full of Festive Spirit, Christmas Magic, and maybe even a touch of Romance! The cast and audience never know until it happens! No show is the same, each play will be performed only once, and will never be seen again. Modjeska Playhouse is decorated for the season, we are looking forward to seeing you, and “sweets” are available. Don’t miss out or you may end up on the Naughty List! (all capital letters) to receive an $8.00 discount on General and Senior tickets. *Student Tickets: We hold a LIMITED NUMBER of Student Tickets for $15 (Cash Only) that can be purchased the day of the show. (Must show Student ID.) PLEASE CALL (949) 445-3674 to reserve a Student Ticket before 5 p.m. (4 p.m. on Sunday) the day of selected performance. *Discounted Group Tickets: Group Rates for parties of 10 or more are available. Call Joshua at (310) 923-4084 for details.